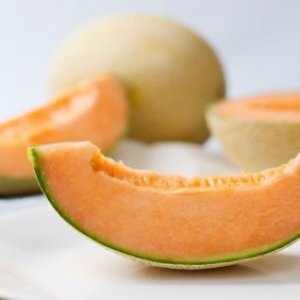 Melons are a refreshing fruit to eat in the summer. Peeling and slicing melons allows you to eat it more easily or add it to a fruit salad. This is a guide about peeling and slicing melon. I cut honeydew and cantaloupe into 1/8ths, and watermelon into manageable narrow strips about 2-inches wide. I use a sharp paring knife to carefully follow along the edge of the rind and not leave any of the white part of the rind on the fruit strips. Then I cut the strips of melon into bite-sized pieces and store in the refrigerator in a container with a tight fitting lid. I save the watermelon rinds for my mother to make watermelon preserves, or watermelon pickles. I first started doing this for my children when they were little and it has just become a convenience for me, especially now that I have grandkids that are always looking for a snack.